This item is out of stock but should return by 4/23/2019. Please come back. 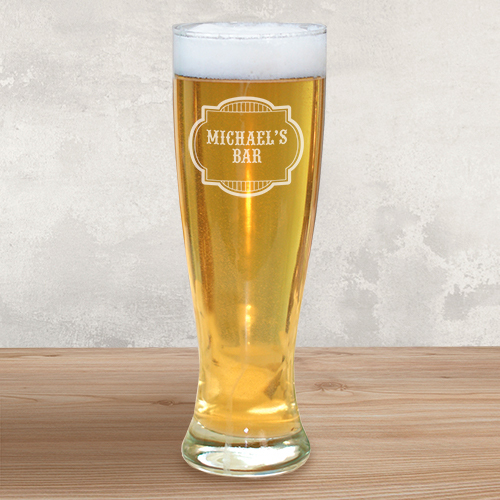 There's nothing like settling in after a long day's work with a cold beer, and with this personalized glass, he can do so whenever he'd like. This would make a great addition to his man cave. Free personalization is also included. We can engrave this beer glass with any name. Great for your home brewed beer.